element14 Pty Ltd introduces a new range of multi MEMS development boards for Xtrinsic sensors. 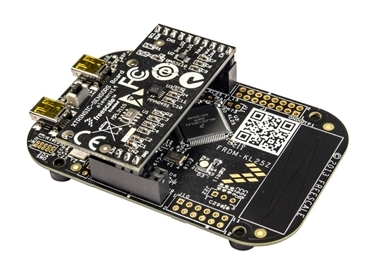 Featuring a next generation accelerometer, pressure sensor and magnetometer to measure motion, altitude or pressure, detect magnetic fields and determine physical position, the new development board is a low cost enablement solution that allows designers to easily understand and test the latest sensing technologies. Designed to work with a range of key applications including mobiles, tablets, remote controls, game consoles, navigation and medical devices, the new development board for Xtrinsic sensors offers design engineers real flexibility and comes with a Freescale Freedom FRDM-KL25Z platform to help demonstrate the sensor board functionality. The FRDM-KL25Z is an ultra-low-cost development platform enabled by the energy-efficient Kinetis L Series KL1x and KL2x MCUs families built on the ARM Cortex-M0+ processor. Device drivers and sample codes are also included to cater for easy evaluation and demonstration of the performance of the sensors. All development boards come equipped with a USB cable and quick start guide. David Shen, Group CTO at Premier Farnell explains that the new development board for Xtrinsic sensors with its precision sensing capabilities is an ideal companion for the Freedom platform and gives developers a low cost, low entry barrier solution for evaluation and development. Babak Taheri, vice president and general manager of Freescale’s Sensor and Actuator Solutions Division adds that the new board with its intelligent integration and next-generation sensor tools delivers smart, differentiated applications to users in a wide range of focus areas, helping them maximise the design potential of their projects. element14 is an award-winning online community that offers design engineers a space to share project concepts with 170,000 members. The Knode on element14 is a comprehensive online knowledge resource for electronic design, and the first stop for any engineer undertaking a design project with a development kit. This new development board is available through element14 in Asia Pacific, Farnell element14 in Europe, and Newark element14 in North America.